It’s safe to say Adam Fleischman is an ideas man. After founding restaurant chains like Umami Burger and 800 Degrees Pizza (and even taking time to invent chocolate fried chicken), he’s now trying to disrupt the caffeine scene with his latest project, Cold Cocked Coffee. 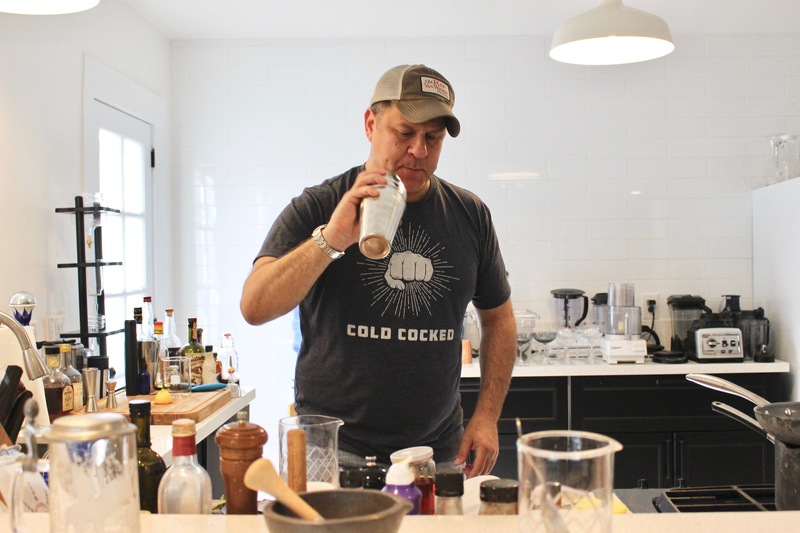 “I wanted to change up the paradigm a little bit, so I’m trying to create the fourth wave [of coffee], which is more [chef focused] with intricate coffee recipes,” Fleischman says. 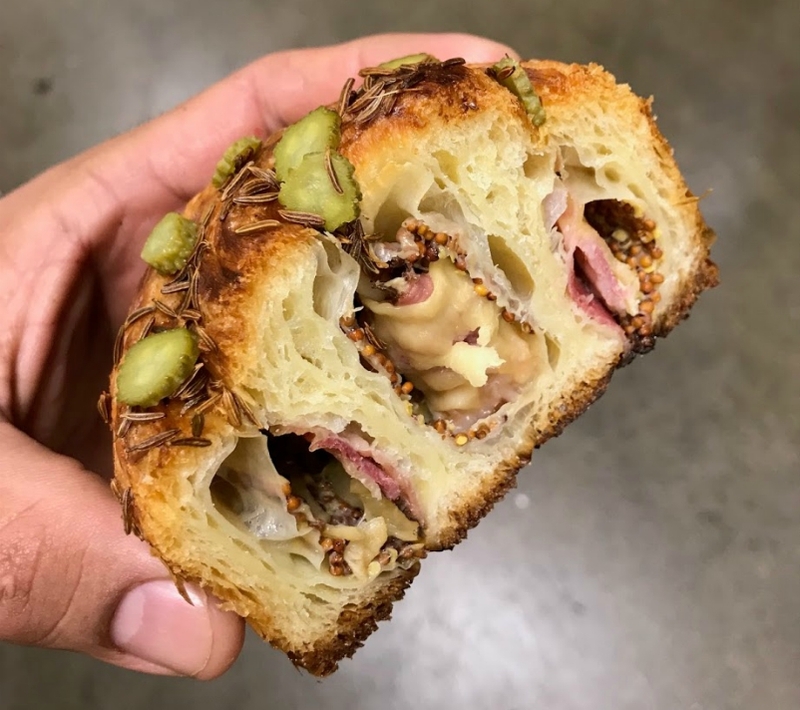 The idea of Cold Cocked Coffee, which will open in Koreatown’s Platform 35 food court, grew out of Fleischman’s weariness of coffee’s third wave, which is the ubiquitous artisanal bean-focused, espresso-bar model. He treats coffee and tea like you would cocktails, but without the alcohol. 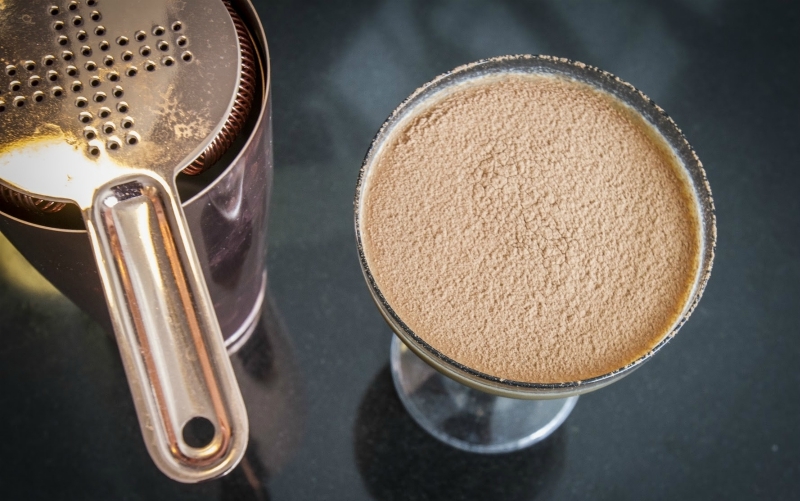 The coffee “cocktails” Fleischman’s developed have unique flavor profiles, like his Vietnamese-inspired beverage that employs coconut, fresh mint, and dehydrated fish sauce; another incorporates pureed Sicilian pistachios. 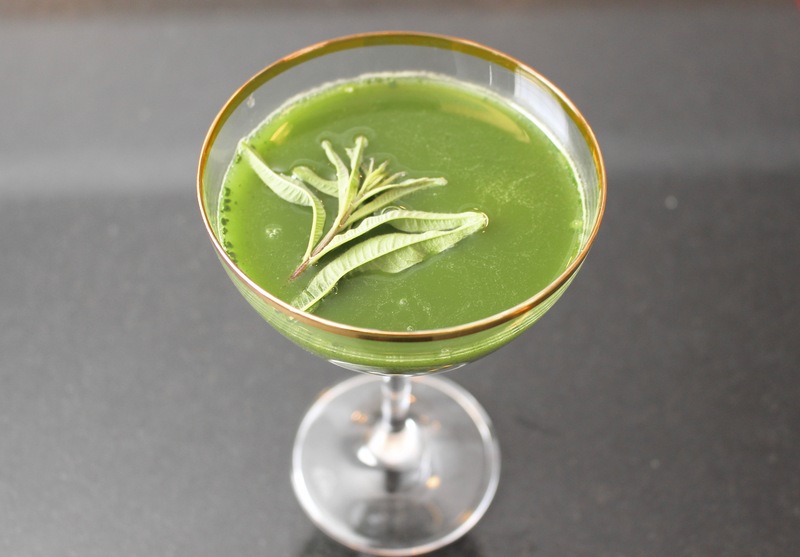 His ceremonial-grade matcha with yuzu is shaken in a cocktail shaker, and his dry matcha and soda stirred in glass barware. Some drinks are served in coupe glasses, garnished with herbs, or chilled with giant ice cubes. Fleischman says most of the shop’s 14 drinks will be served cold (save for the espresso, drip, and gelato affogato) because “colder drinks are where the market is going.” He also adds salt to his concoctions, which lean away from the saccharine sweetness of many coffee drinks. Fleischman, who’s been developing these recipes for a decade, created special coffee bases that take three days to make. He’s secretive about the process, but does divulge that they’re created through an infusion process that’s similar to making stock. He uses roasted beans from Chino’s Espresso Republic and high-end matcha from Japan. Since Platform 35 is still under construction, Cold Cocked Coffee could open anytime between April and early summer. In the meantime, I visited Fleischman in his L.A. home as he prepared a couple of drinks behind his kitchen bar. Like a bartender, he drops a few dashes of yuzu bitters in a matcha beverage, and has me sample an artisanal licorice syrup that he acquired from the Danish candy maker Lakrids. He infuses Lakrids’ licorice in one of his bases. In addition to drinks, the cafe will offer pastries with croissant options like Reuben, brownie, or guava. These were developed with Patina alum Carlos Enriquez, who owns the wholesale panadería Bakers Kneaded. When the shop does open, Fleischman envisions patrons standing by the bar and conversing with the staff making the drinks, like you would at a cocktail bar. However, this cafe, which can seat 200, will also have tables and chairs. Fleischman designed the space himself. As an homage to the late artist Louise Nevelson, the place will be painted a stark white over found objects, like typewriters and computers, on the walls. More locations, including one in downtown, are already in the works.